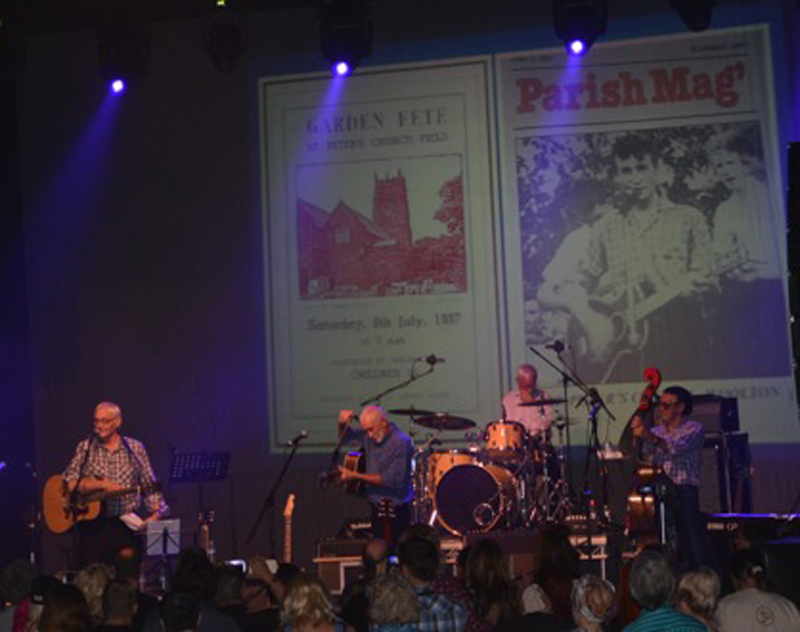 Click here for more 2015 -The Cavern, 9 Oct, & Rod Davis in Canada. 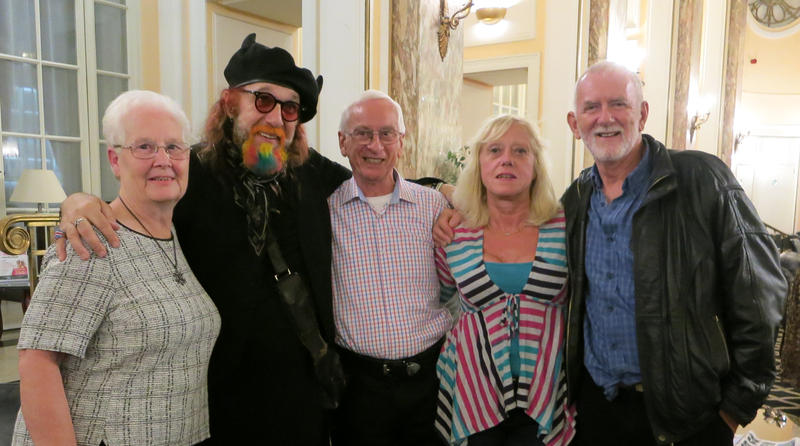 On Monday 31 August, the last night of Beatleweek, Cavern City Tours Mark Hudson hosted the concert of the weekend, “With a Little Help From my Friends”, at the Royal Court Theatre. 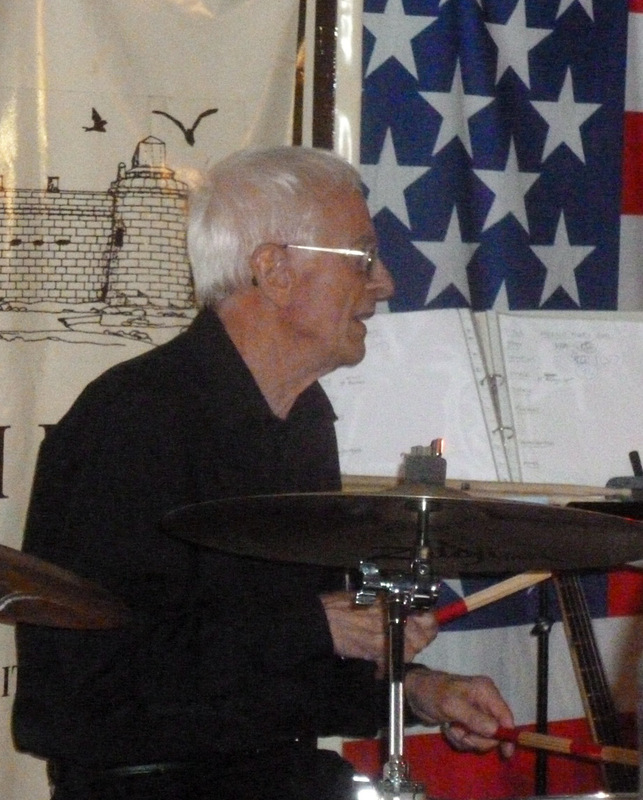 This concept of Mark’s gave the audiences an opportunity to hear the music of John, Paul, George and Ringo alongside the stories behind the music from at least one member of the band who shared that history and performed on the recording. 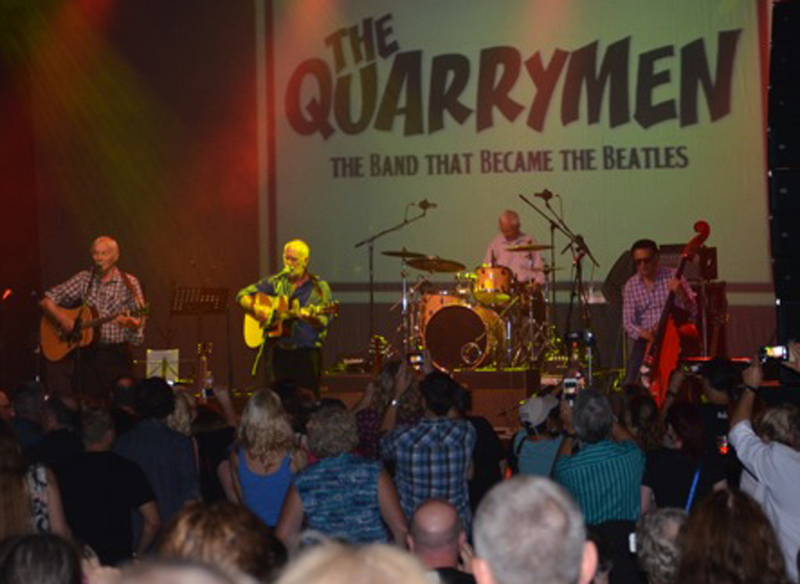 The Original Quarrymen opened the show, followed by Mark Hudson (Ringo), Joey Molland (George and John), Steve Holley (Paul), Earl Slick (John) and Elephants Memory (John) and Denny Seiwell (Wings). What a show that was! 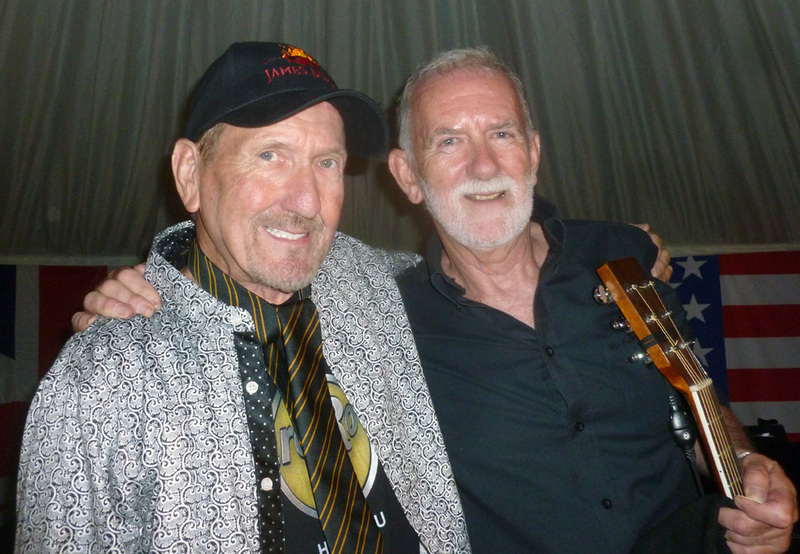 We even persuaded Mark Hudson to become a Quarrymen Tea Chest bass player on Rock Island Line! 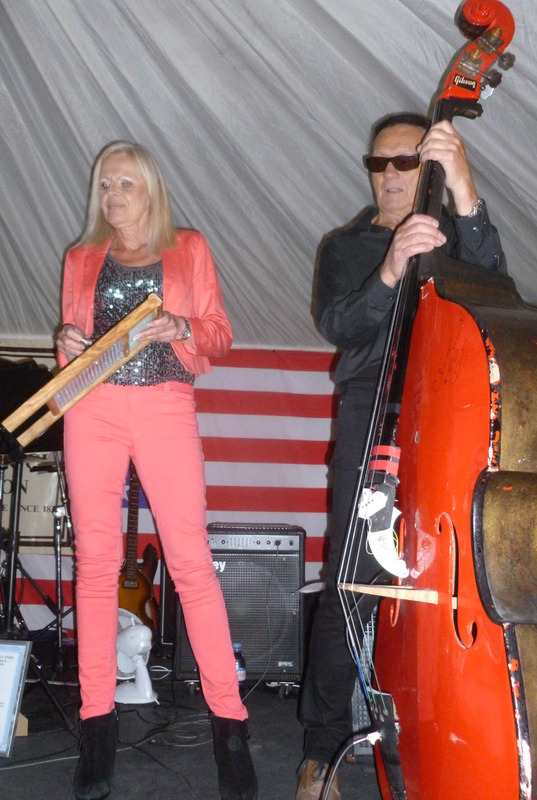 John Duff Lowe’s daughter Maudie played washboard and our old friend Owen Clayton played string bass. 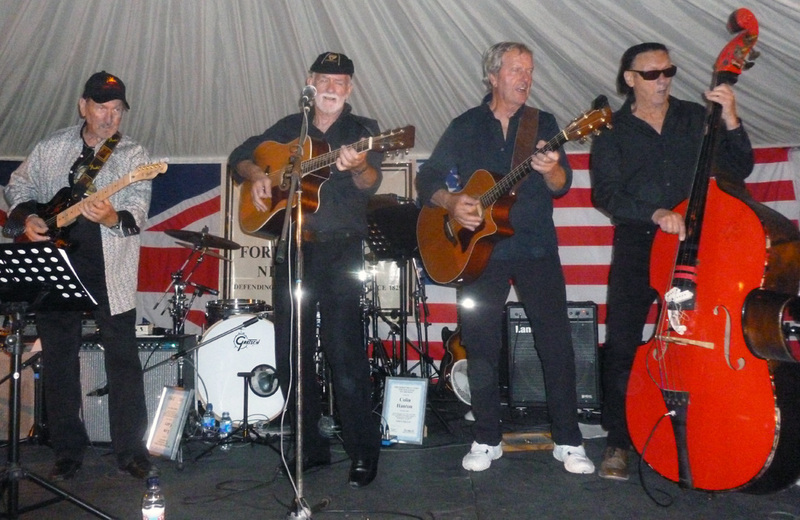 Thanks to Cavern City Tours for a great gig. 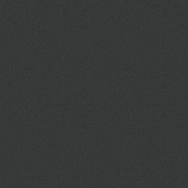 Click below for Youtube videos! Thanks to Alex Chureev for putting these up! 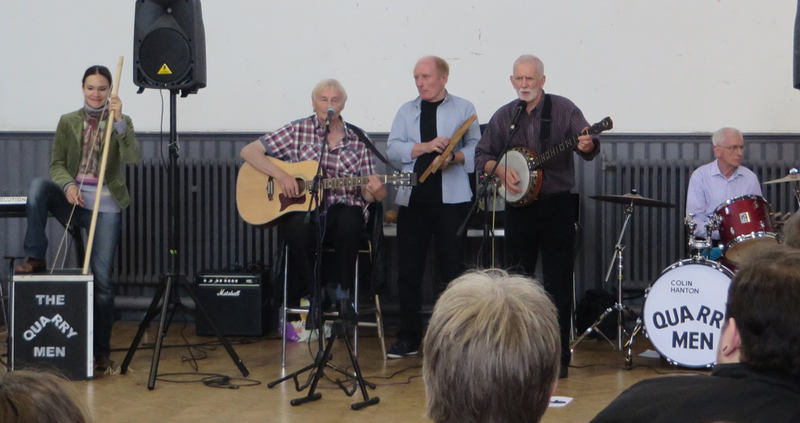 As part of the James Burton Guitar Man Weekend the Quarrymen played Fort Perch Rock on Sat 4 July. 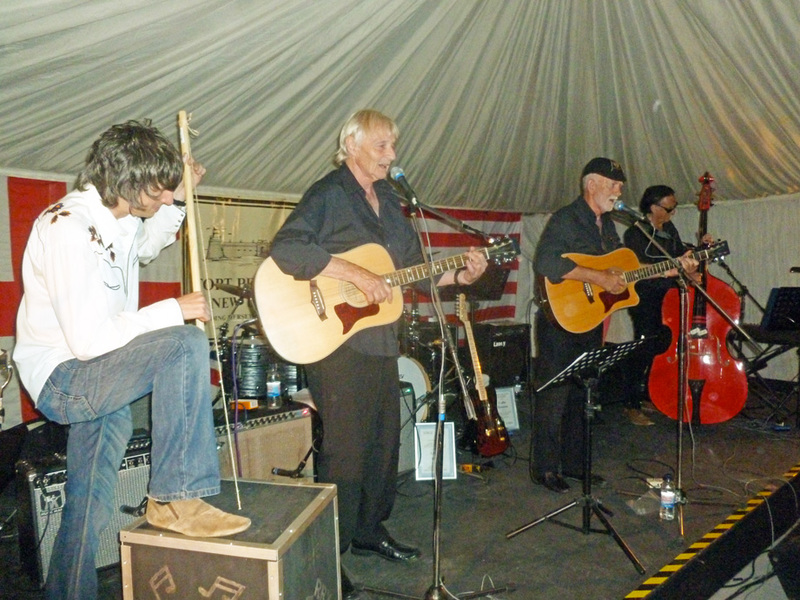 This time the lineup was Len Garry, Colin Hanton, Rod Davis and guest bassist Owen Clayton. 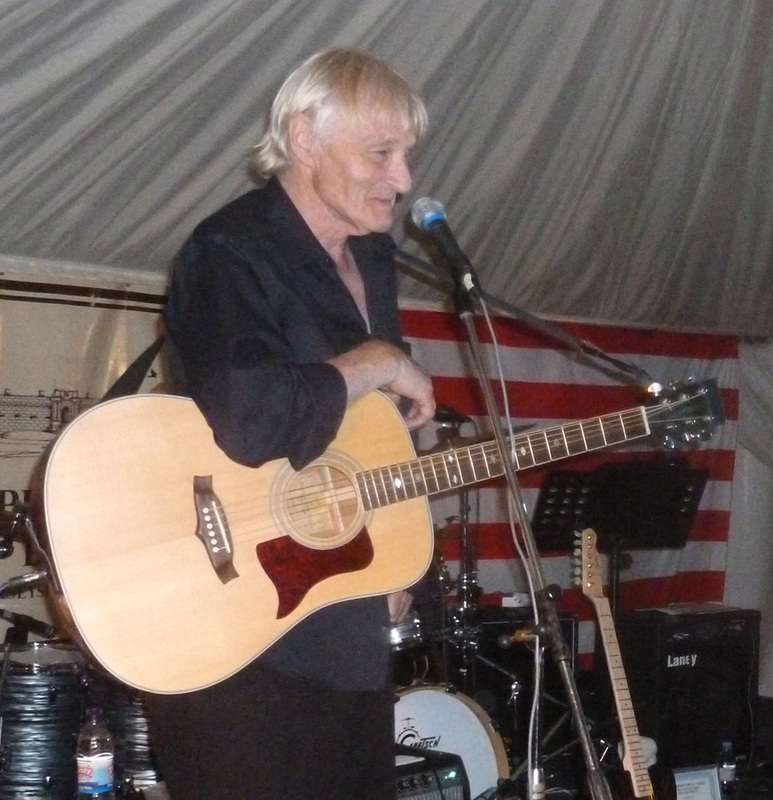 The evening kicked off with a great set from singer-songwriter Mark Pountney, which was followed by Don Woods and his Band. 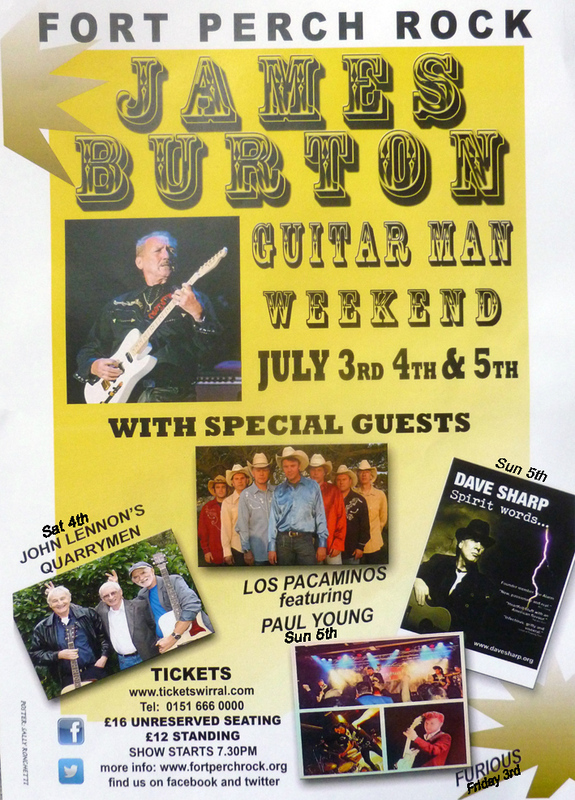 The star of the show, James Burton, then joined Don to play a fantastic Ricky Nelson set, with all the numbers you wanted to hear, including of course his legendary solo on “Hello Mary Lou”. 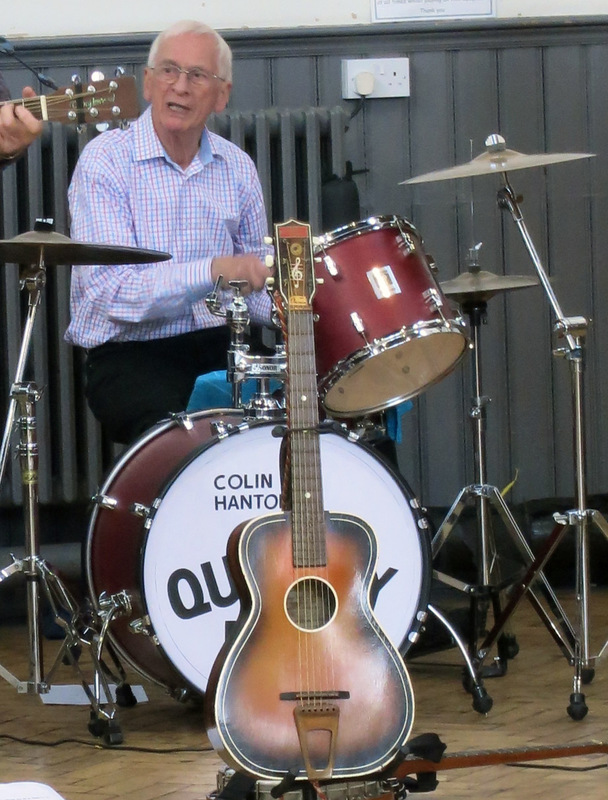 After the break Radio Merseyside’s Frankie Connor introduced the Quarrymen and presented them with certificates to mark their induction into the MerseyBeat Hall of Fame. 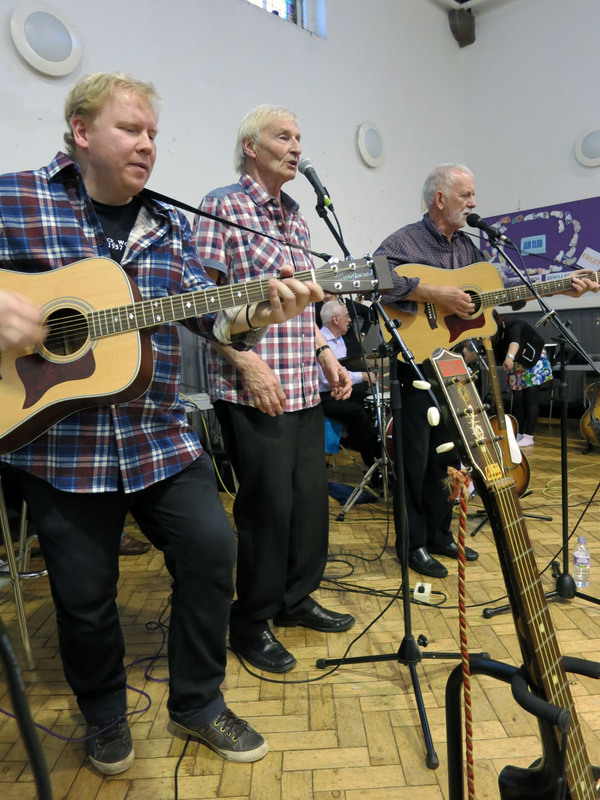 They then proceeded to play a set of early skiffle numbers, complete with washboard and teachest bass, which were played by invited members of the audience, which included Carol, the sister of the Quarrymen’s original Manager Nige Walley. Also in the audience were several old friends from Quarry Bank, one of whom, Brian Gresty, had brought along his Quarry Bank year one Bailey House school cap! 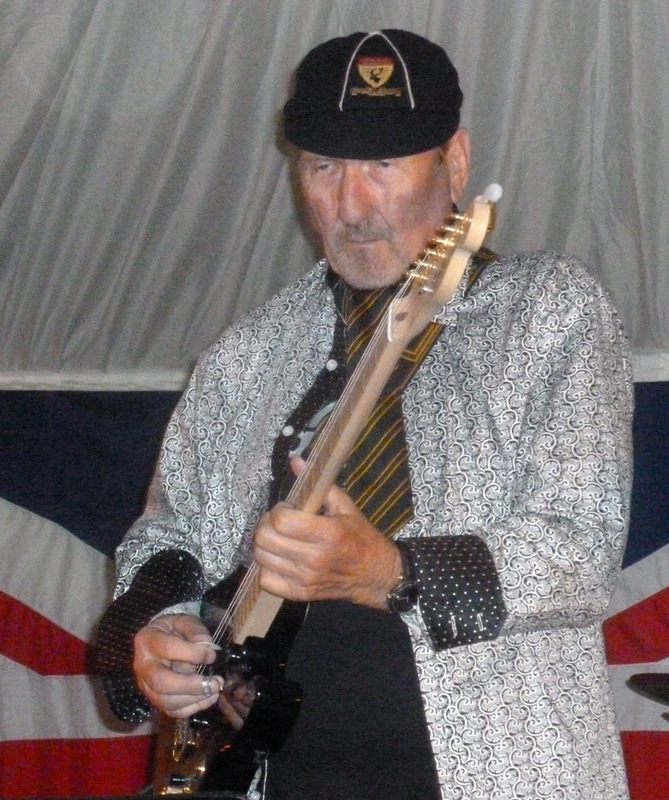 This he lent to Rod Davis to wear for the duration of the performance. At one point Faron - of Flamingo fame - came on stage and played teachest bass on “One after 909”. 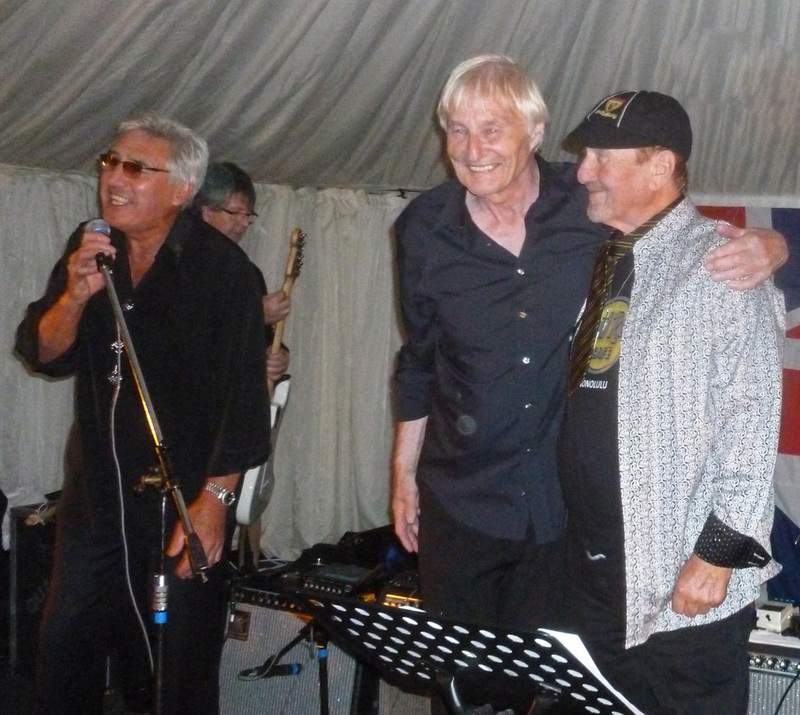 Then the guys switched to Rock ‘n’ Roll and eventually for their last three numbers James Burton and the Don Woods outfit joined them on stage for a massive jam on “That’s alright Mama”, “Don’t be cruel” and “Mean woman blues”. Rod presented James with an original Quarry Bank tie and lent James the school cap which he wore for the rest of the evening! 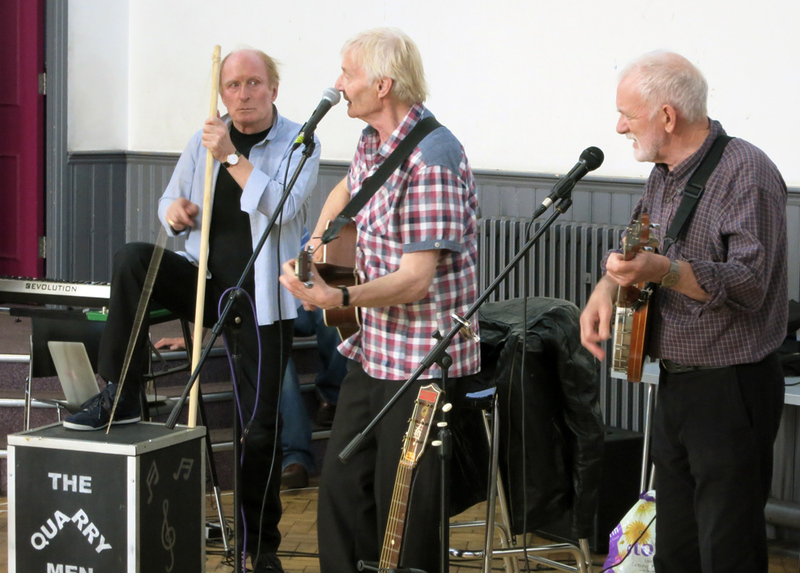 Thanks to Dave Ravenscroft for the great photos! 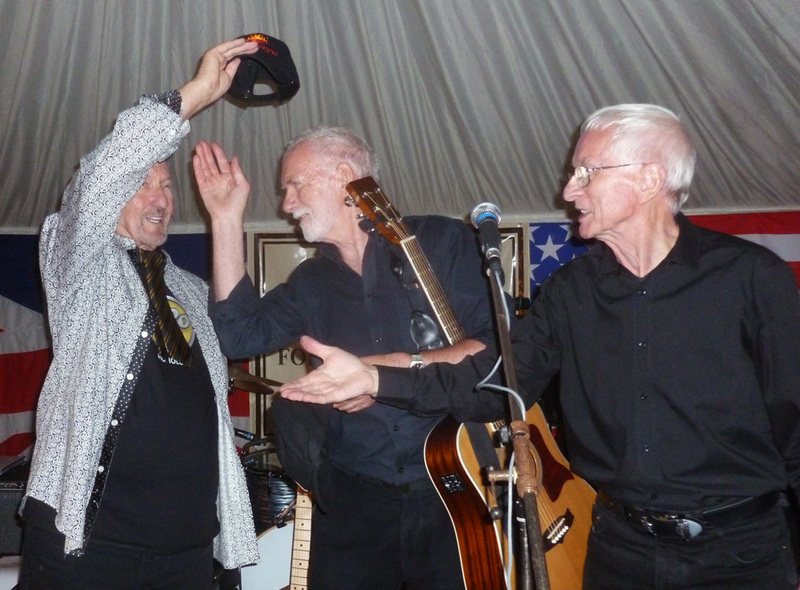 And if you’d like to see some video of James Burton & the Quarrymen, CLICK HERE! 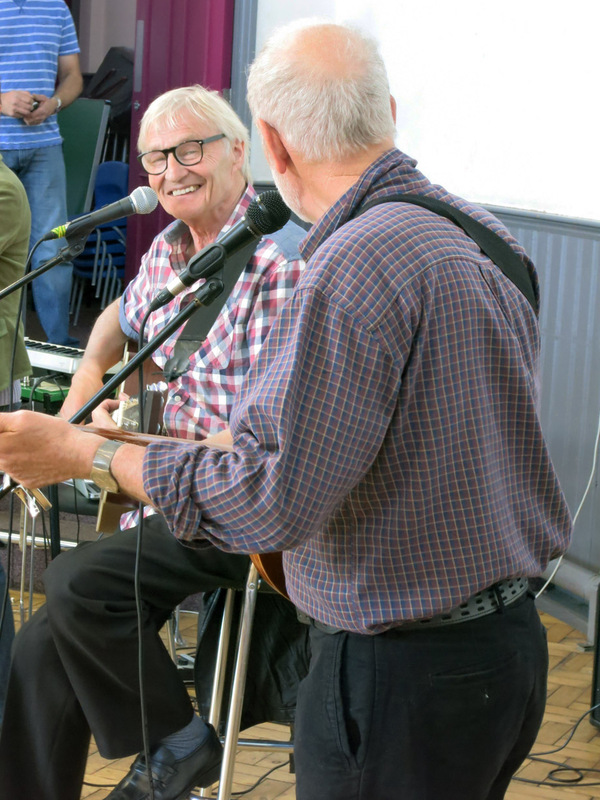 The Quarrymen made a rare return to their roots at the end of May when they played a nostalgic set in St. Peter’s Church Hall, a few feet from where John and Paul first met. 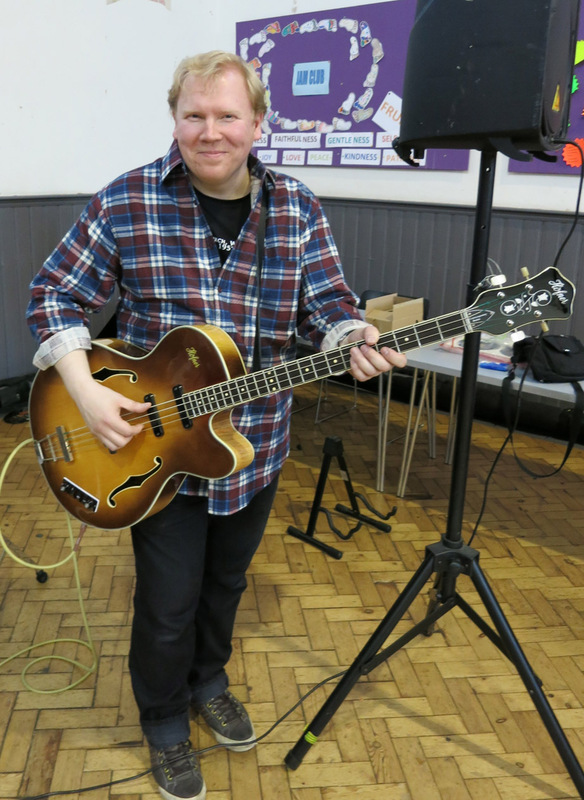 As there were many visitors from abroad in Liverpool for the McCartney concert the previous night, the Garry family and Finnish bassist Chrisse Usenius decided to put on something in the authentic setting where the guys had played so many times before in the 1950s. 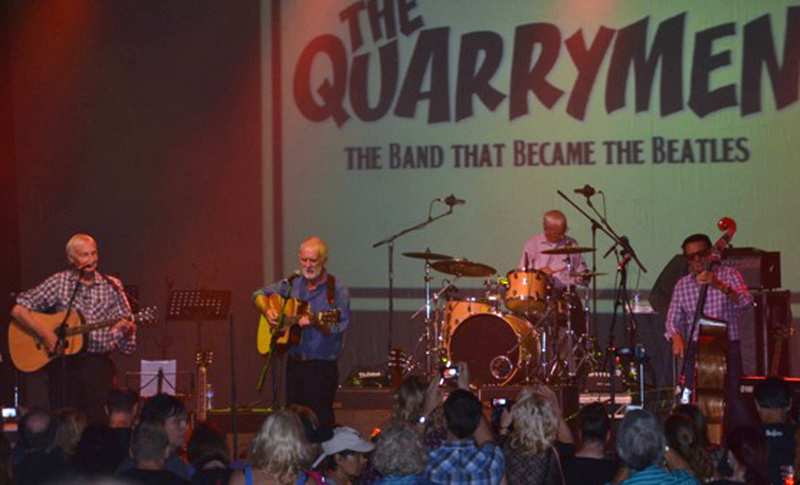 The evening was something of a departure from the usual Quarrymen format. 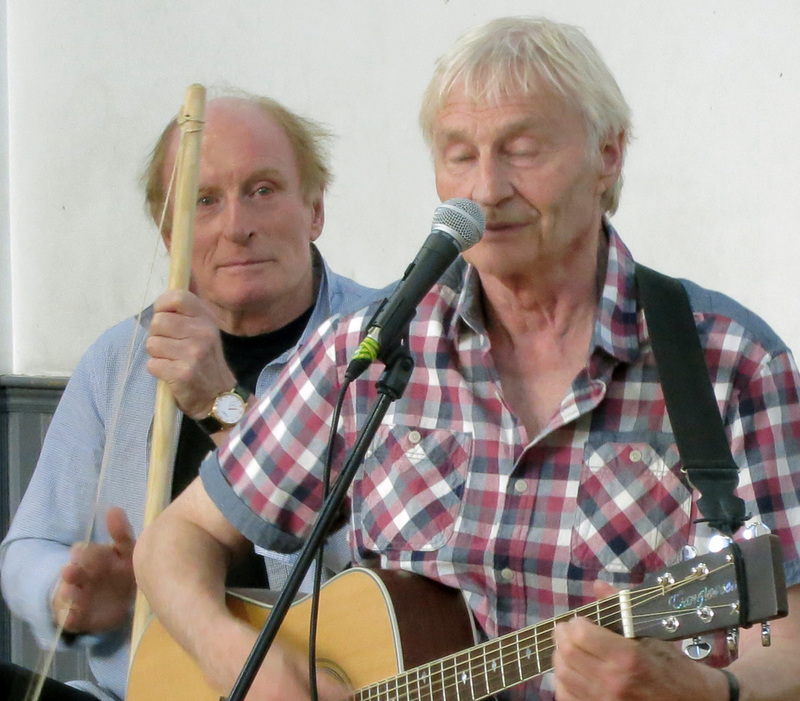 The first half was almost exclusively an acoustic skiffle set with mikes. 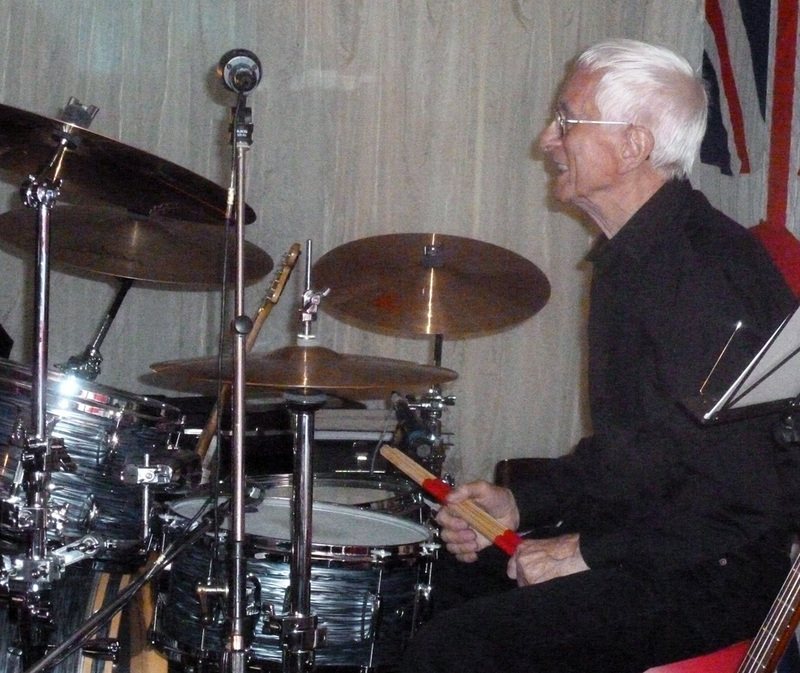 Pianist John Duff Lowe swapped his keyboard for a washboard and even doubled on tea chest bass. 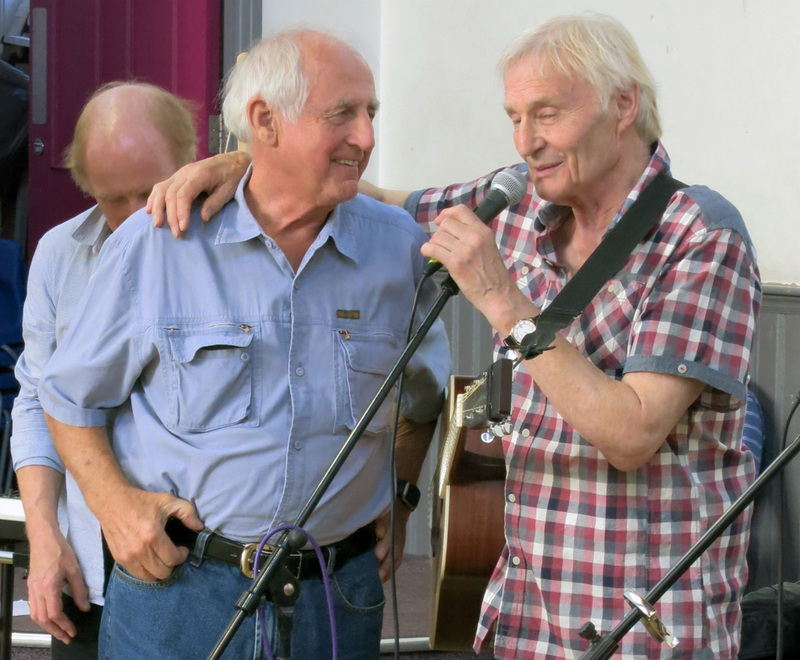 Other old friends an audience members joined in, including Jane Enenko who had recently been chosen as a Liverpool Ambassador, Hendrik from Denmark, and a great surprise was the arrival of the Quarrymen’s very first tea-chest bass player, one of the absolutely original four founding members, Bill Smith! 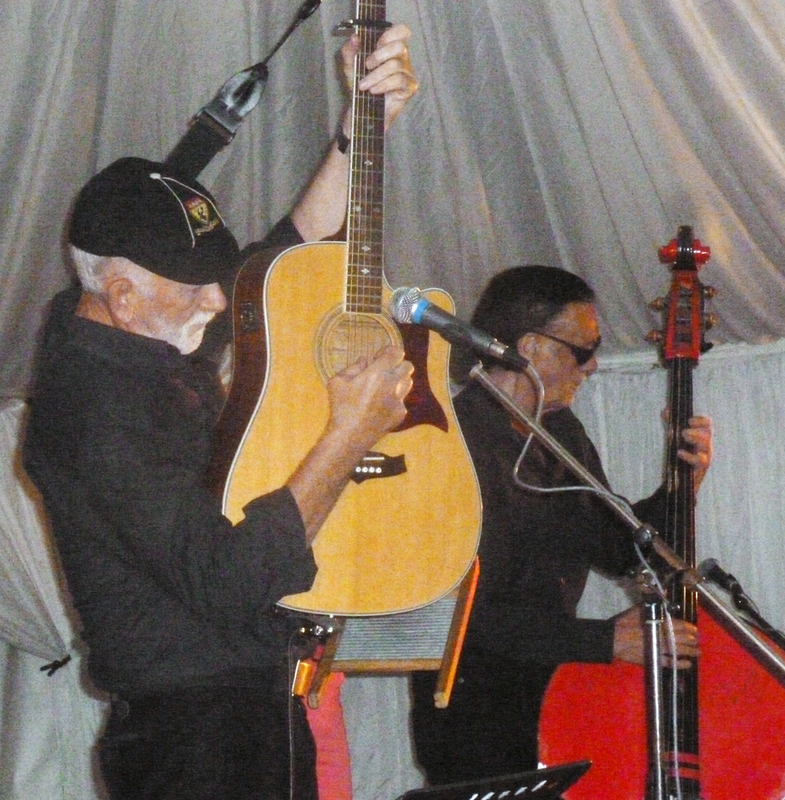 As well as taking part in the repartee, Bill demonstrated his plucking skills on “Down by the Riverside”. 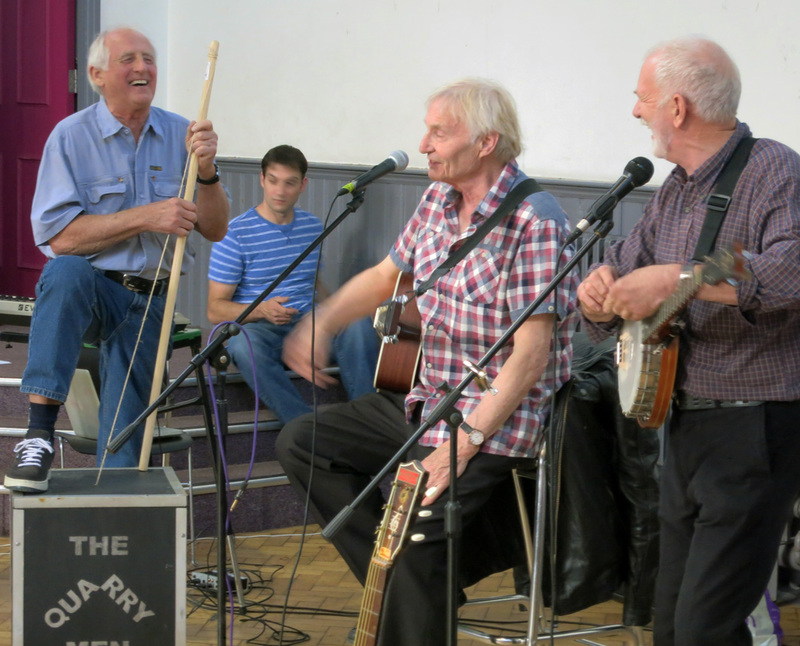 Len Garry had suggested to Rod Davis that he played banjo on all the skiffle numbers, something which Rod had not attempted since 1997, however it seemed to go down pretty well despite his lack of practice. For the second part of the evening, which was electrified, Duff went back to his keyboard and the Quarrymen were joined by Chrisse Usenius on a Hofner Electric bass. 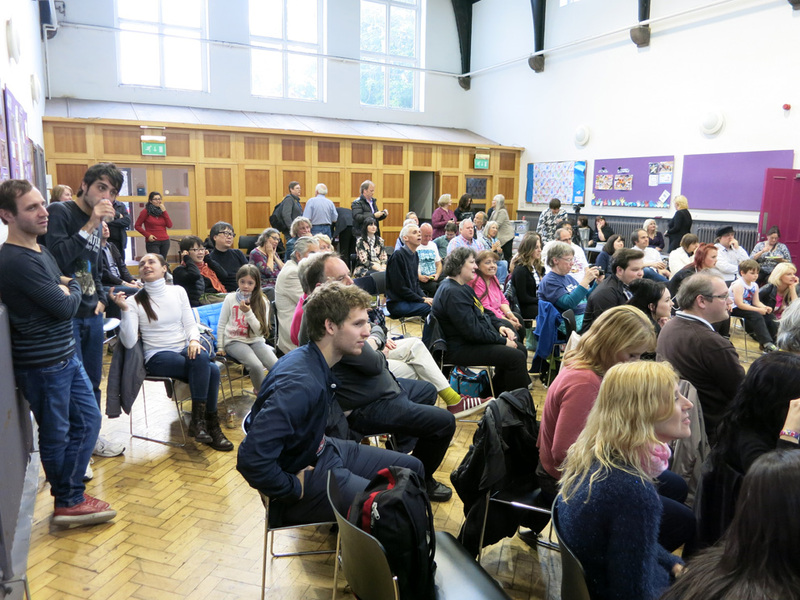 the audience was very enthusiastic indeed and the planned-for Q & A session was ditched in favour of more and more music. All in all a very enjoyable evening , our thanks to the Garry family, to Chrisse and to Donna and her helpers from St. Peter’s.